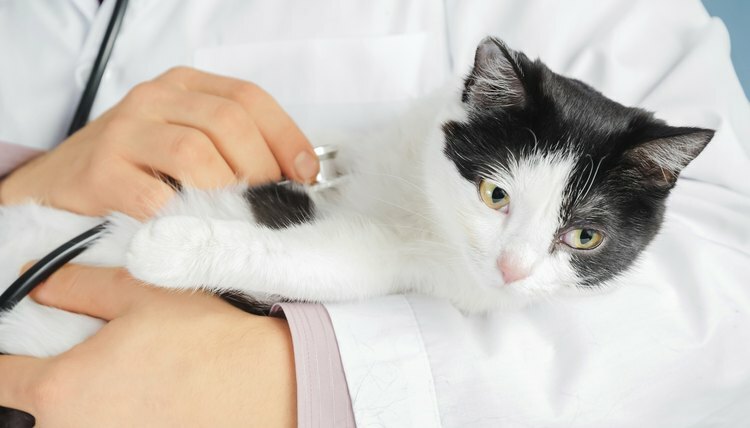 If your cat experiences a bite or other open wound, or is diagnosed with a urinary tract infection, your veterinarian might prescribe Clavamox to treat the issue. This broad-spectrum antibiotic eradicates certain gram-positive and negative bacteria including the Staphylococci group and E.coli. If your cat is pregnant or nursing, though, your vet will probably choose another antibiotic. Dogs diagnosed with upper respiratory infections might be prescribed Clavamox, but felines receive other therapy. Clavamox contains amoxicillin -- a long-lasting penicillin -- and clavulanic acid, which kills some bacteria. Available in liquid or pill form, your vet will likely prescribe a twice-daily regimen of the drug for seven to 14 days, depending on the ailment. If your cat is allergic to penicillin, your vet won't prescribe Clavamox. An allergic reaction includes breathing difficulties or hives. If your cat experiences such a reaction, call your vet immediately. Potential Clavamox side effects include appetite loss, vomiting and diarrhea.